The Xilinx Versal Prime is one of Xilinx’s new ACAP chips parts focused on the data center and wired communication markets. Boasting a large amount of connectivity in a TSMC 7nm monolithic design, the new Xilinx Versal Prime is a significantly different product than the previous generation. 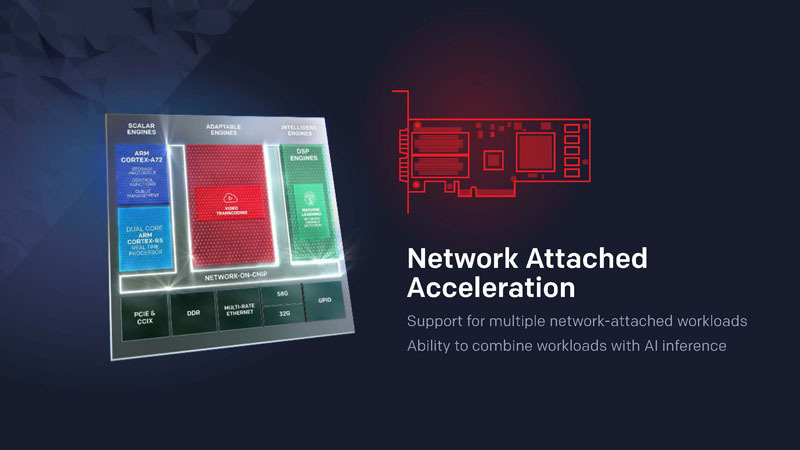 Billed as a heterogeneous compute platform, the new ACAP design incorporates a new network on a chip, new Arm IP, faster programmable logic elements, and increased SerDes capabilities to meet the needs of many markets. 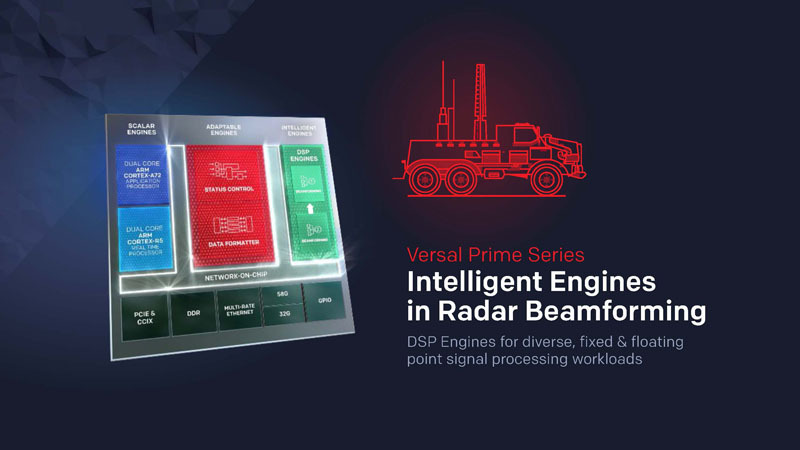 Billed as an ACAP, the Xilinx Versal Prime has a number of capabilities including Arm Cortex-A72 cores, an Arm Cortex-R5 real-time processor, DSP engines, and connectivity. We have covered the ACAP before. Xilinx Project Everest and ACAP Strategy at 7nm and Xilinx ACAP Hot Chips 30 Keynote with Victor Peng. Those give a great background on the Xilinx ACAP platform that the new Versal Prime is built around. Xilinx gave a few examples of how this is being used. It highlighted a radar beamforming example where the DSP Engines are doing the beamforming compute and the programmable gate arrays are handling status control and data formatting duties. Another market for the Xilinx Versal Prime can accelerate workloads directly on the network path. One example that the company highlighted is video transcoding. Twitch, the game streaming service, was on stage touting the benefits of the older generation UltraScale+ (16nm) that it uses to transcode 3 million streams at 1080 / 60fps using VP9. Twitch says that FPGAs give them around 30x the VP9 encoding performance over CPUs it was evaluating. Another example is storage acceleration, with the ability to handle 100GbE networking and compression/ encryption at low latencies. 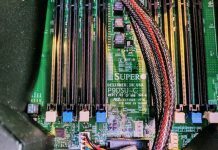 Storage is getting smarter, and many of the emerging vendors creating smart storage products are using Xilinx FPGAs. Another example is network acceleration such as open virtual switch (OVS) acceleration. FPGAs have been used for network processors for decades, so this is an easy one to see. 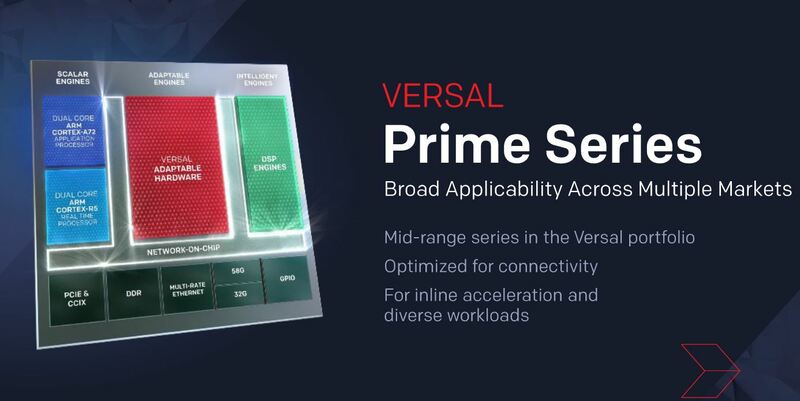 The company highlighted a few other applications for the Versal Prime but the focus is clear: the Versal Prime is designed to be the next-generation general purpose computing platform for Xilinx. One of the key aspects to the ACAP push is that Xilinx is actively trying to displace Intel Xeon. By incorporating Arm cores, high-speed networking, and programmable logic, the company is betting that it can transition customers from going through a server to CPUs and instead offload entire applications to ACAPs like the Xilinx Versal Prime. Here are some of the performance metrics that Xilinx is quoting for the overall Versal series. 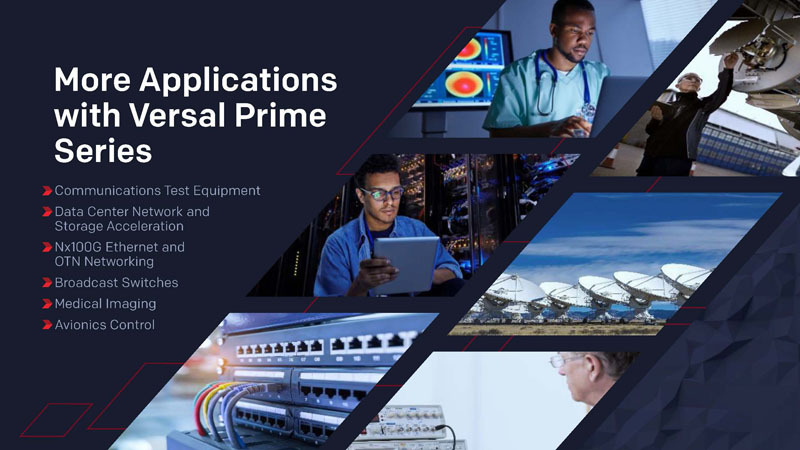 The Versal Prime it sees playing more in the non-AI inferencing data center markets as well as the “Wired” markets. 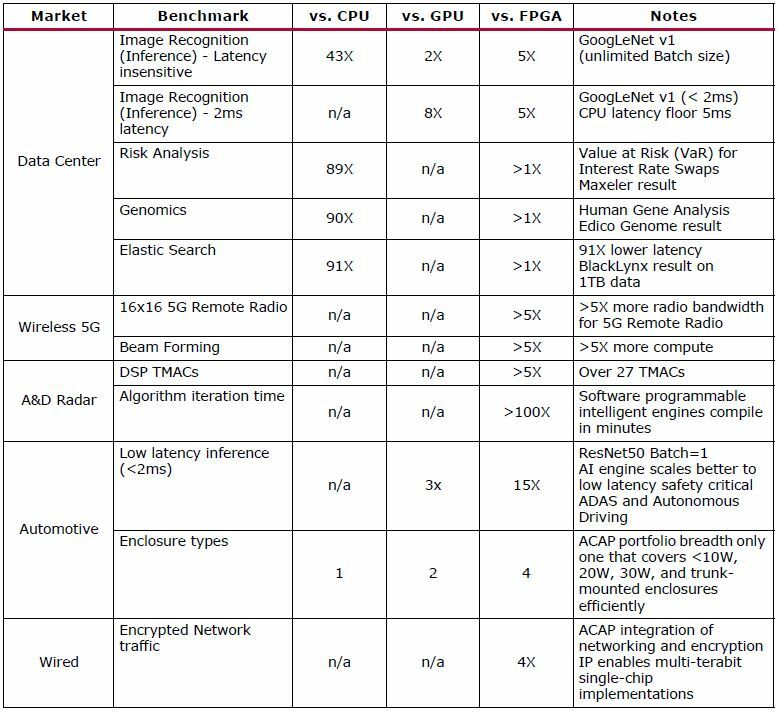 For AI inferencing, the company has its Xilinx Versal AI Core launch product. Part of the appeal of these types of products are the applications beyond simple compute. One example we wanted to highlight was on the “Wired” segment and encryption. The company believes it has a play with the Xilinx Versal Prime in the Type 2/ Type 3 SmartNIC space. 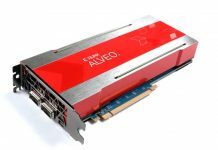 One of the products, Mellanox Innova-2 with 25GbE and Xilinx FPGA we recently covered where that product used a pre-ACAP chip. 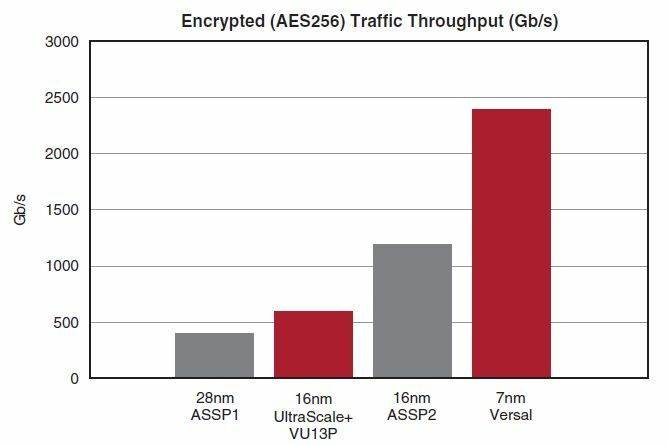 Here are the performance metrics for AES256 encrypted traffic throughput. With the new Xilinx Versal series, the company can support up to 2.4Tb/s of AES256 traffic. This is a big deal. 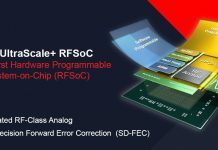 Compared to the current/ previous generation Xilinx UltraScale+ product lines it means that the new ACAP can provide well over a 4x performance improvement. That also means that the ACAP can provide lower throughput but more intelligence via its programmable logic which means encryption offload does not preclude doing other types of compute on the SmartNIC. 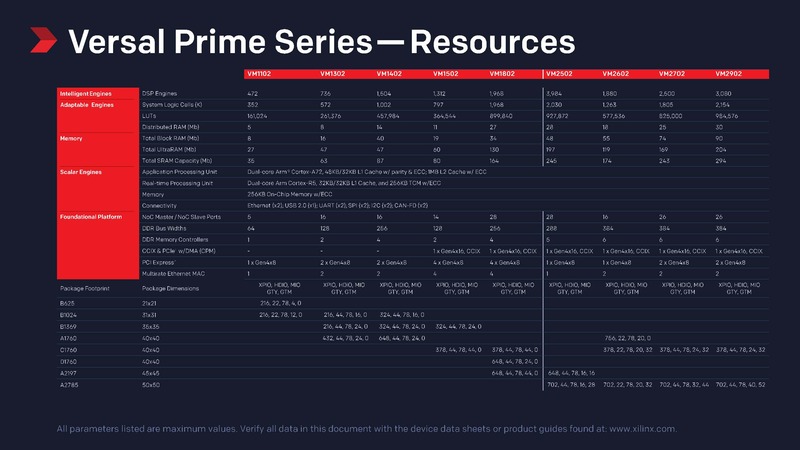 Here is the Xilinx Versal Prime launch SKUs. You can click on this to get more detail. 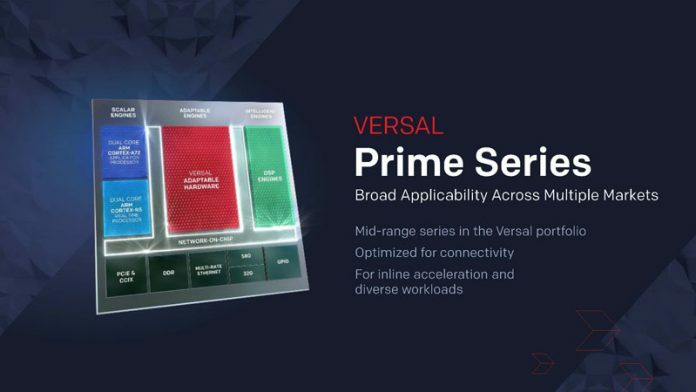 With nine primary SKUs the Xilinx Versal Prime Series will scale to meet a number of customer application needs. The Xilinx Versal Prime series is still a monolithic die product. In the future, the company envisions 50 billion plus transistor multi-chip solutions. In the meantime, the ACAP architecture is really interesting providing a heterogeneous compute architecture. 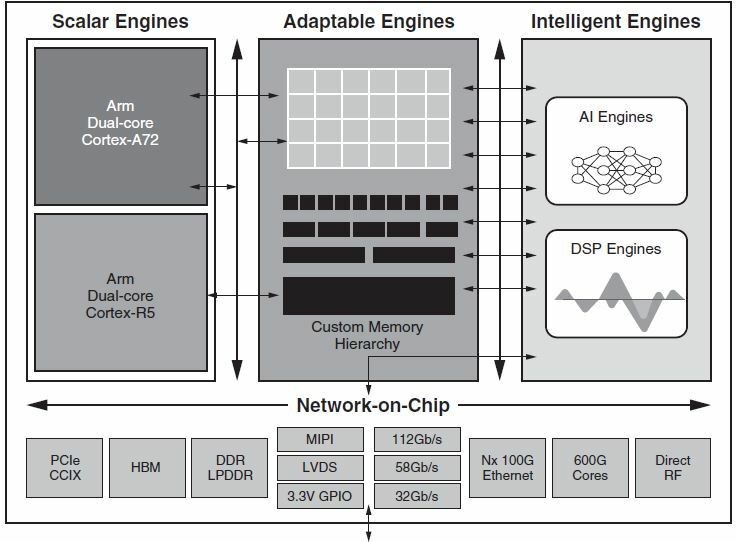 The heterogeneous compute architecture makes selecting SKUs even more important as the Xilinx Versal Prime scales connectivity, compute, and memory along with the SKU stack.